Children today will grow up to a world that breathes and lives digital technology, so it is imperative to develop an innate comfort with technology that is productive and life enhancing. Innate comfort is beyond comfort and it requires a serious rigor that ensures that the osmosis of human and technology is complete. 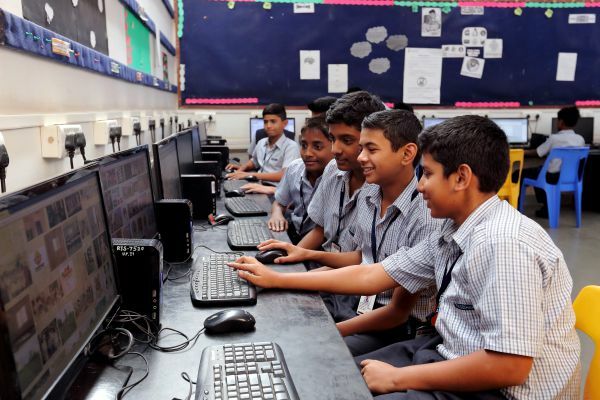 At Rasbihari International School digital technology is not something that has a specific period assigned to it, but is a part of teaching and learning process. Every classroom has IT infrastructure that allows children to think about IT as a natural extension of what they do, rather than a specialised activity done with a narrow purpose. The School is committed to building a native comfort with productive digital technologies to ensure that the children grow up adopting technology as a part of their life like language rather than being afraid of this transformation the world is coming into.